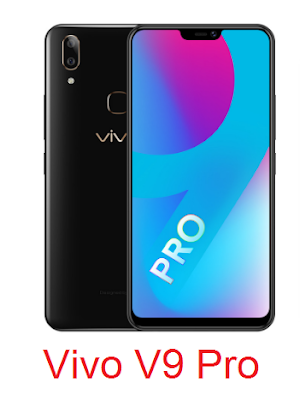 Vivo has launched a new smartphone Vivo V9 Pro in India today. The V9 Pro is the upgraded variant of Vivo V9 and it comes changes like 6GB of RAM, and a Snapdragon 660 processor. It comes with a similar notch display and dual camera setup at the rear. Vivo V9 Pro is available exclusively on Amazon India. The Vivo V9 was launched in March 2018 in India with 4GB RAM and Snapdragon 626. The Chinese company later launched a 6GB RAM and Snapdragon 660 variant of V9 in Indonesia that likewise accompanied differet camera specs. Presently, the same V9 comes in India as V9 Pro. If we talk specifications, the Vivo V9 Pro comes with a 6.3-inch Full HD+ (2280 x 1080 pixels) IPS display with 19:9 aspect ratio. It is powered by Octa-Core Snapdragon 660 chipset with Adreno 512 GPU, and 6GB of RAM. The phone keeps running on Funtouch OS 4.0 based on Android 8.1 Oreo. As far as camera, it brandishes a 13MP primary rear camera with LED flash, f/2.2 aperture, and a 2MP secondary rear camera. There is a 16MP front camera with AI selfie lighting and beautify feature. It has a fingerprint sensor at the back. It packs 64GB inbuilt storage that is expandable up to 256GB with a microSD card. The Dual SIM device has dedicated slots for memory card and SIM cards. Other network alternatives incorporate 4G VoLTE, WiFi 802.11 ac, Bluetooth 4.2, GPS, and USB OTG. It is backed by a 3260mAh battery. The price of Vivo V9 Pro Rs. 17990. It comes in Black color and will be exclusively available on Amazon.in and Vivo online store. It is to be noticed that the price of V9 Pro is Rs. 19,990, however it will be available at a price of Rs. 17,990 during Amazon's Great India Festival.